The Cathedral in Quito is very large, and very unique. It has huge doors, and the outside is lined with gargoyles. 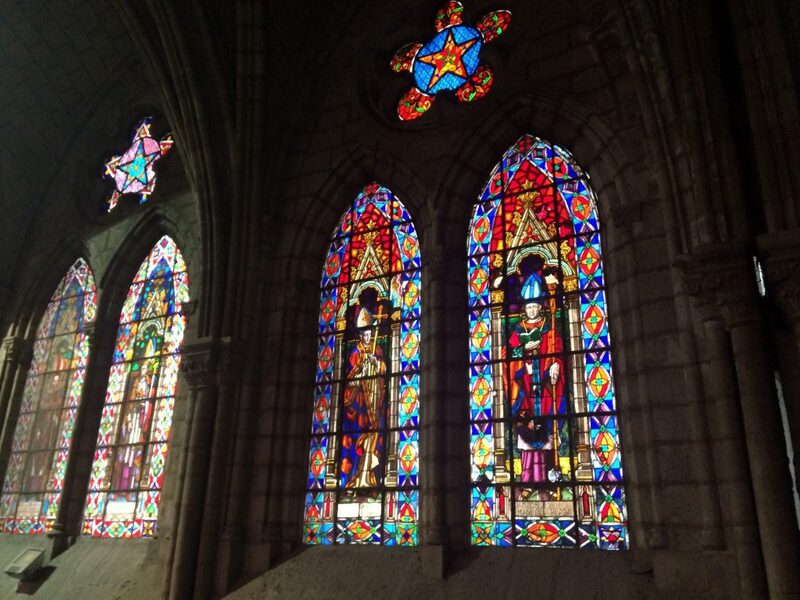 It is covered in stained glass everywhere and there is a great big tower to climb up to. It is a bit scary but is definitely a great view at the top. There are all sorts of little nooks and crannies. There are tunnels and catacombs with shops selling items and souveniers. 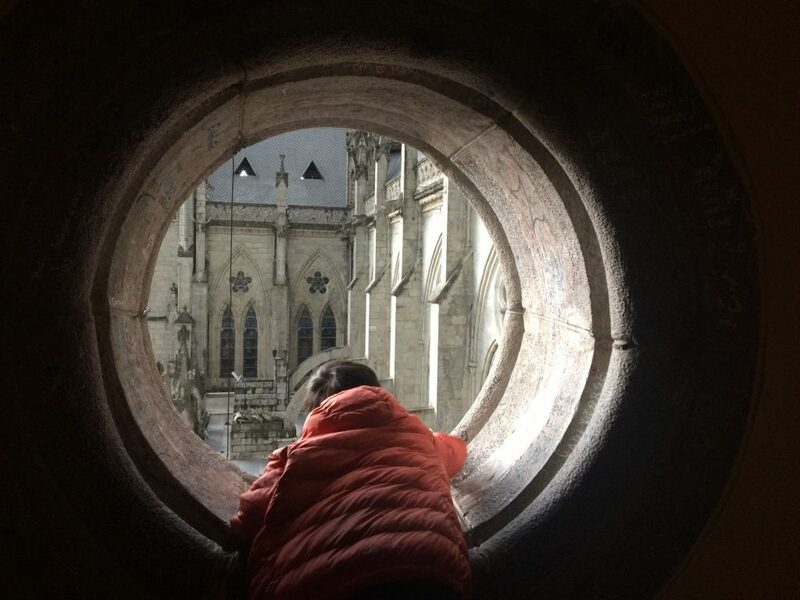 It is a large Cathedral that has been beautifully designed and is also very smartly made if you look closely. For example. The drainage goes down from the walls using chutes and then on to the square whose tiles divert it into the drain. 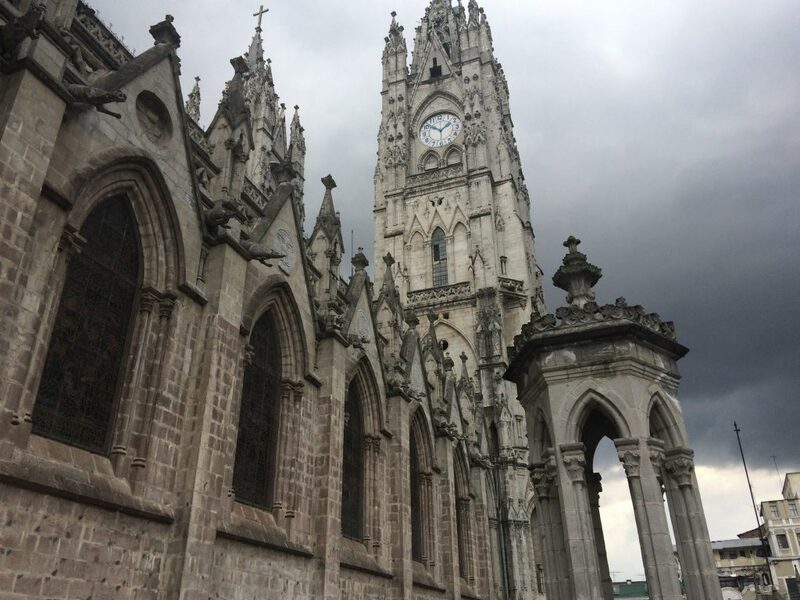 The Cathedral of Quito, Ecuador is full of surprises and things to see and it is a great destination to visit in your spare time. It is not good to get stuck in the rain because otherwise any kids will start complaining horribly. There are all sorts of gargoyles such as crocodiles, monkeys, sloths, and armadillos. They looked very Stengel because sometimes they were out of proportion or really fat.